Shopping around for a new vehicle? 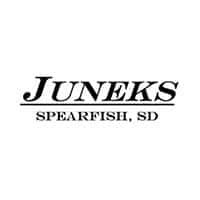 Save time AND save money when you buy from Juneks CJDR with our Hometown Pricing system. Read on to learn more about Hometown Pricing or call 888-280-6103 to speak with someone immediately! If you’re in the market for a new or used vehicle, be weary of inflated pricing tactics. Other dealers acquire vehicles for their lot and simply mark them up 4 to 5 thousand dollars, hoping an uninformed customer walks in and takes the bait. Not at Juneks! We recognize that today’s car shoppers are savvier than ever with the help of the internet. In just a few clicks, buyers can find plenty of vehicles to choose from and quickly realize what’s a good deal and what’s not. At Juneks CJDR, we’re aware of the knowledge you possess as a car buyer. That’s why we’re here to save you time. We conduct pricing research of our own. Before a new or used vehicle hits our lot, we scan the market within a 350-mile radius, as far as Rapid City, Casper, Denver, Billings, Sioux Falls and Bismarck to survey how each dealer has priced similar vehicles. With that information, we carefully price our vehicle to be within the top ten percent of the market. To learn how much you can save with Hometown Pricing from Juneks, call 888-280-6103 or fill out the form on this page now. We strive to offer competitive prices at Juneks CJDR regardless of whether or not we make a profit. Why? To save you time, and help us be assured that we are providing a good car at a great value right here in Spearfish, SD. We don’t play pricing games or try to pull a fast one on you like some other deals. We invite you to explore our inventory in comparison with other cars you’ve looked at. You’ll see the difference. Our vehicles are re-priced weekly to ensure we maintain attractive, competitive prices so keep checking back with us; sometimes the deals get even sweeter. Don’t wait long though, with Hometown Pricing, most of our inventory is sold within 60 days of hitting our lot. Learn how much you can save today with Hometown Pricing. Call now at 888-280-6103 or fill out the form on this page now!